In Suits, one of the most popular drama TV series on US television to run some seven-plus seasons, the very charming Harvey Specter, a senior partner at tier one Manhattan-based law firm Pearson Hardman, hires college dropout Mike Ross as an associate lawyer. Impressed with his photographic memory and immense knowledge, Specter hires Ross from among a mass of ivy-league law graduates lined up to interview for the precious job. The brilliant college dropout-turned-unlicensed attorney and the charismatic Specter make a great team and turn the tables on countless occasions to get surprise victories for their employer, Pearson Hardman. Imagine a Suits-like show run in real life. This is the promise of an artificial intelligence (AI) enabled blockchain environment. With the advent of 4G and 5G, “anything/anywhere/anytime” (triple A) will be a reality. What this means is that we will be able to access virtually everything in a fraction of a second with a simple mouse click or a voice command. The emergence of this high-speed connectivity offers an enabling platform for two important technologies – first, AI and second, blockchain technology. I collectively refer to this as the AI-enabled blockchain environment. As I discuss in detail in my book, neither AI nor blockchain are new from a technological perspective. Consider, for instance, that AI-automated voice response, smart sensors and automated/semi-automated machines have been around for some time now. The primitive automated voice-responding machines date back to the early 1980s. Likewise, the most fundamental concept of decision making in the blockchain technology – in technical parlance, it is called the Merkle tree and Byzantine fault tolerance – dates back to the early 1980s. Technologically, these may not be new, but, from the commercialization perspective, both are disruptive. This is due to the fact that the two technologies – thanks to the emergence of 5G – offer tremendous potential for “successful commercialization”. According to Morgan Stanley’s recent forecast, India, with an annual GDP of US$6 trillion, is expected to be the third largest global economy come the year 2030. At that time, the world will also be very different from how it looks today. Autonomous vehicles, smart cities and sensors decorating our landscape will be an everyday reality. What are the immediate implications of this new landscape for the legal sector? Also, what will this connected environment look like and how will it impact the legal sector? As lawyers, how prepared are we for this digital future? What are the new additional challenges and opportunities for the legal community that may come along with this change? Whenever confronted with a question of law or looking for a case law that best matches the facts of the case at hand, the first step a lawyer takes is to scan through numerous online databases or look for answers at the good old library. The emergence of online search tools has saved litigation lawyers and counsel at law firms alike hundreds of thousands of collective precious hours to find that one right meaningful precedent to win the case at hand. This is one of the initial and most fundamental applications of AI, dating back to Professor Hugh Lawford’s first centralized databases created in the 1960s. Today, we have more sophisticated tools like LexisNexis, Manupatra, Westlaw or Pacer. In the figure on page 27, this can clearly be classified as a part of “legal research”. 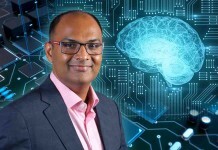 The AI-enabled blockchain environment, with new ever-emerging solutions, such as the IBM’s Watson, LegalZoom.com Inc and Akerman, a self-service tax compliance product, promises to facilitate further knowledge creation and research collaboration so as to pave the way for a more creative, competitive and value-delivering legal ecosystem. Another example further underscores the point. While looking for an admissible piece of evidence, a lawyer confronts the challenges of its quality and credibility. Imagine a transaction, which is a part of the database, that has been validated by different participants (technically referred to as nodes) in the blockchain environment. This time-stamped record of transactions, which are publicly available, offers a high potential to be admissible as evidence in a court of law. This will surely involve complex questions of law, such as their admissibility under the Indian Evidence Act, 1872, but what is undeniable is the high-level quality (note: I call it high level and not immutable as usually referred to in the context of the blockchain technology), the credibility of the piece of evidence and how it can go a long way to meet the ends of justice. The Estonian government is among the first to leverage the benefits of this AI-enabled blockchain environment and has put in place a blockchain-based identity management system. Identity management, as the name suggests, refers to the identification of an individual and confirms whether a given person is indeed the one, they claim to be. This, in turn, is used in legal issues as diverse as land registry, sale and purchase of property, contract management and social security system in the country. Before turning to the next question of whether we, as a legal community, are ready to disrupt or be disrupted, I must add that this current hype about the AI-enabled blockchain environment is because of the potential of this environment to self-learn (machine learning in technical parlance) and function in a more accurate and almost semi-autonomous manner. The best example of this is IBM’s Watson, which, the company claims, can now clear almost all state-level bar exams in the US. Whether Watson will, in turn, be prohibited by the US state bars for illegally practising law as a non-human entity is another question of law to be answered by a jury of humans! I have illustrated through some examples and the use of cases of how the AI-enabled blockchain environment is increasingly becoming a part of the legal community. 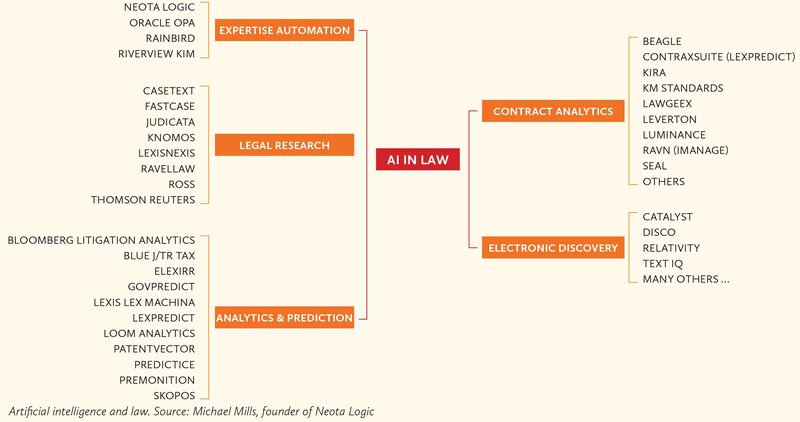 While the application of blockchain technology in the legal sector will take some more time to become mainstream, AI, in some ways, has already taken centre stage in the legal sector. Will this enabling environment of smart contracts, ledger of things and artificially intelligent robots make a typical litigation lawyer or a corporate lawyer more efficient or will it make them redundant altogether? The answer is both yes! and no! It is in the positive because, for those among us able to learn and benefit from this technology, it will have a great advantage in enhancing our competitiveness and establishing our expertise in our field of specialization. This starts with large, complex legal contracts, which no one ever reads, except in cases of follow-on litigation. CruxIQ, a Chennai-based AI start-up company, makes a comparative study of contracts and keeps key clauses at fingertips. Consider a lawyer invited to draft a joint venture contract between a Mumbai-based startup and a Helsinki-based venture capital firm. Typically, an Indian lawyer, qualified in common law, will need to look into the nitty-gritty of Scandinavian law, which, in addition to being a different field of law, is also almost entirely unavailable in the English language. Using an AI-enabled solution, such as CruxIQ, the lawyer can easily, quickly and efficiently scan through the best available contracts in these very different languages and draft a contract that satisfactorily meets the needs of his clients. The lawyer’s digital agility not only gains him more respect, it also helps him make more money as it minimizes his transaction costs in drawing up this contract. Moreover, despite the emergence of this AI-enabled blockchain environment, the reason lawyers will remain more relevant than ever is because of two factors. First, technology may evolve, but those whose ends such technology is meant to serve are humans. Second, despite their efficiency, agility and dexterity, issues of ethics and conscience for these AI-enabled devices are Latin and Greek. I present two highly relevant and revealing examples in this context. The first deals with application of AI to a very human-driven field of law – criminal law enforcement. In the US, Chicago has been among the first to deploy AI technology for minimization of criminal activities in the city. The AI system used a range of parameters, such as gender, age and prior criminal records, to rank residents on a scale of 0 to 500. Using a complex algorithm, the system derived inferences on the principle of correlation and identified a range of patterns, such as the age of the individual and gender as indicators of his/her future potential engagement in criminal activities. To find out if this system has been effective, we need to look at the change in the crime rate. If these two parameters are any indicators, post-enforcement, neither the crime rate nor the number of shoot-outs has seen any downward trend in Chicago. However, the AI-enabled system has drawn tremendous criticism from human rights activists and lawyers. They argue that these systems, because of the self-learning nature of the algorithms, produce biased results and tend to isolate and identify certain sections of the society. It is feared that, in the long run, this may lead to isolation and marginalization. My second example deals with a very typical example of the blockchain technology. Recording of transactions in a ledger and immutable nature of the ledger are some of the more frequently cited reasons to highlight the secure and dependable nature of blockchain technology. It is important to state that this system is not completely infallible and, despite its immense advances, will continue to require occasional human intervention – both technical, considering the complex nature of the technology and legal, in light of the financial and regulatory aspects involved. Virtual crowd funder Distributed Autonomous Organization (DAO) is a case in point. US-based DAO invited people to contribute in the form of ether (the cryptocurrency used by the Ethereum blockchain based platform) and, in return, were offered the rights to vote on and invest in projects that they found valuable. Overall, some US$150 million was invested. A hacker identified a bug – basically, a loophole in the code – and siphoned off more than US$60 million worth of ether to his/her own account. This incident underscores the limitation of the current smart contracts as the transaction, as per the instructions in the blockchain code, was legitimate. Only human intervention could identify the error and correct it. The developers of Ethereum had to “hard fork”, meaning break down the whole system, not just the DAO. This really puts into question whether the distributed trust is indeed immutable as the supporters of the technology zealously argue. This discussion seeks to drive home two key points. First, until they have a conscience, the AI-enabled blockchain systems can only facilitate and not replace the legal community. Second, in this era of 5G or AI-enabled blockchain – no matter what we may want to call it – those of us not able to leverage from the benefits of this technology, may, in the words of Charles Darwin, not be the fittest to survive in this digitally enabled environment. This observation holds sway against the real-world backdrop where big and established players in the legal, consulting and information technology fields, such as Baker McKenzie, Deloitte and IBM, respectively, are also some of the biggest spenders on this AI-enabled blockchain environment. An Indian-qualified competition lawyer with a specialization in business strategy, Kalpana Tyagi works as a research scholar on artificial intelligence and blockchain technology at CREDI, Center for Legal Informatics, Department of Law, Aarhus University, Denmark. Tyagi has worked across Switzerland, the US and the EU as a researcher and consultant on competition, patents and innovation in the digital economy. This feature is adapted from an excerpt of her forthcoming book dealing with innovation, ethics and relevance of law in the era of Industry 4.0 and big data.